Newsletter on preservation of historic house by Devin Kimmel, of Kimmel Studio Architects. 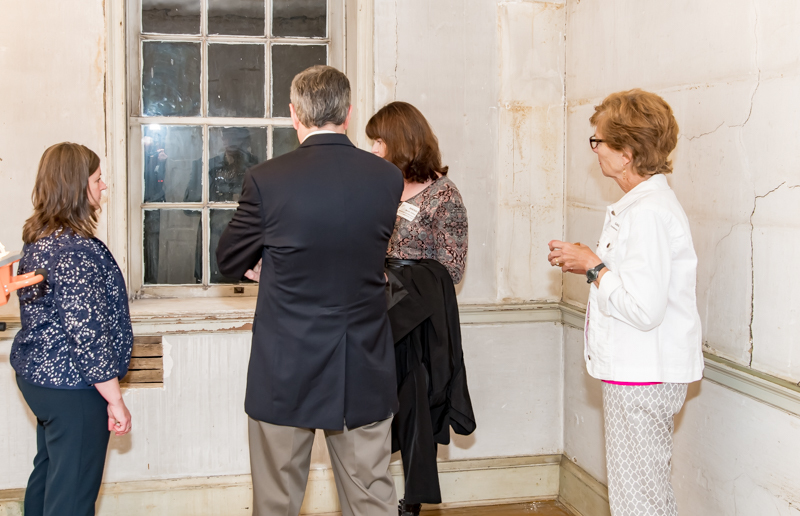 Updates on restoration of MD colonial-era home. The above video features Jason Tyler, registered professional archaeologist and vice president of Applied Archaeology and History Associates, Inc. (AAHA). 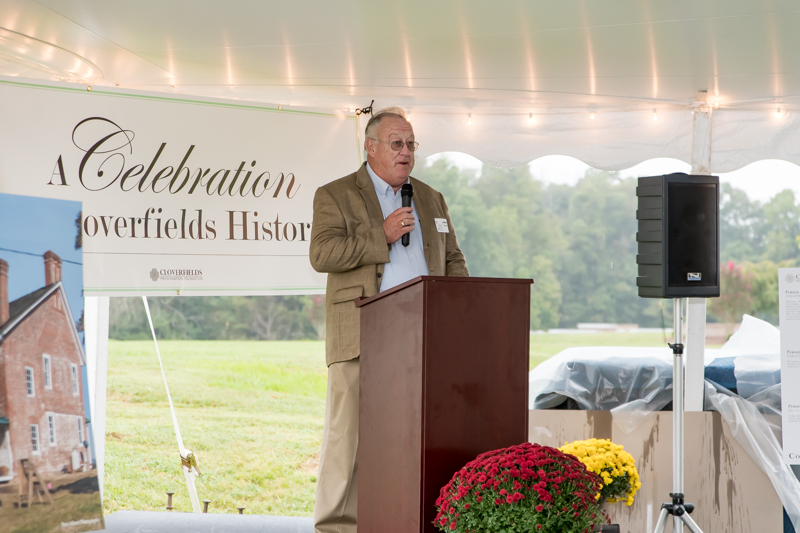 During his twenty-year career as an archaeologist, Mr. Tyler has worked in the excavation of multiple state and federal properties of the region, and has acquired a wealth of experience managing cultural resource projects. Mr. Tyler then identifies the key areas where his team has been working, including a cellar, as well as the foundations of a kitchen, a hyphen, and three different porches. He is particularly enthusiastic about the porches. He tells us how his team uncovered the foundations for a front porch and for two side porches. “The two side porches,” Mr. Tyler reveals, “weren’t really known before we started excavation, so this has been quite an interesting exploration for us. One of those side porches may have dated back to the very beginning phases of construction here at Cloverfields.” Porches then became a hallmark of the vernacular architecture of the Chesapeake area, which would turn Cloverfields into a trend-setter in this regard. So what’s really interesting about this project here at Cloverfields is that normally we are working in our individual silos where I do my archaeology, someone else would do the dendrochronology, and they happen one after another, and sometimes with a distance of time between them, but here we are all working together at the same time to kind of bring these results together, and this is a really exciting way to work for me because I don’t have to wait for another three months to say: “Oh, that goes here.” Here I can go in front of Willie Graham and say, “Willie, what does this mean? I’ve seen this in the foundation, what do you think this is?” Or Mike Worthington, the dendrochronologists, he’ll tell me: —“Hey, I got a date for this.” —“Oh, okay, that works well with the artifacts I dug from the foundation.” So it’s a really exciting way to work for me. 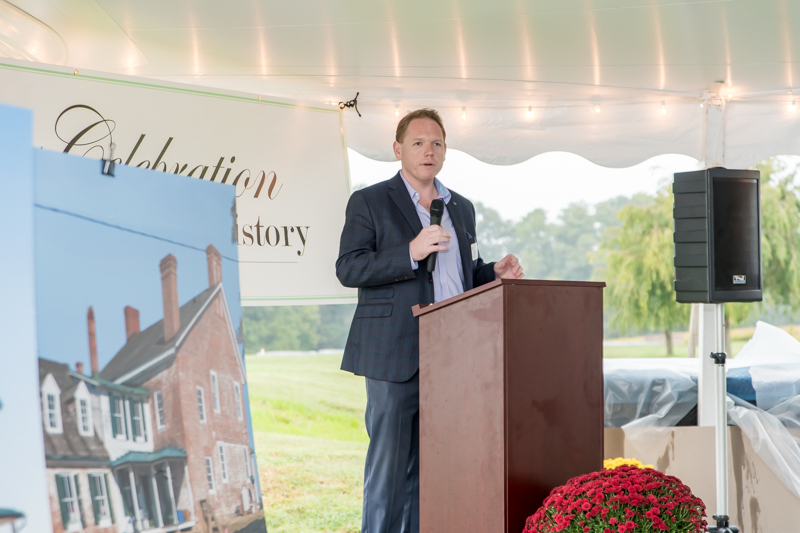 Now, it’s still complicated, and there’s still a lot of loose ends, but I think we are really moving forward now, and we are in a very exciting phase of the restoration of the Cloverfields house. For another example of real-time collaboration, the team of my architecture firm is currently producing the drawings of the 18th-century kitchen which foundations Mr. Tyler shows in his video. His input will determine where we draw the doors, windows, and paths of circulation, so that project manager and builder Lynbrook of Annapolis can then proceed to actually reconstruct it. In general, we regularly consult Mr. Tyler about his findings, as we produce drawings to accurately reflect how Cloverfields stood at different points of its 300-year history. 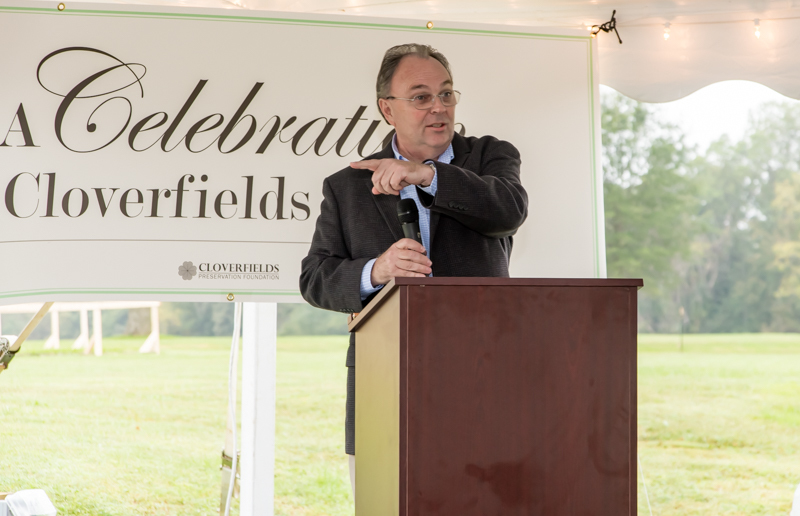 Our relationship with the community and with other stakeholders is of the utmost importance to the Cloverfields Preservation Foundation. This is what motivated us to host two different events during the month of October. 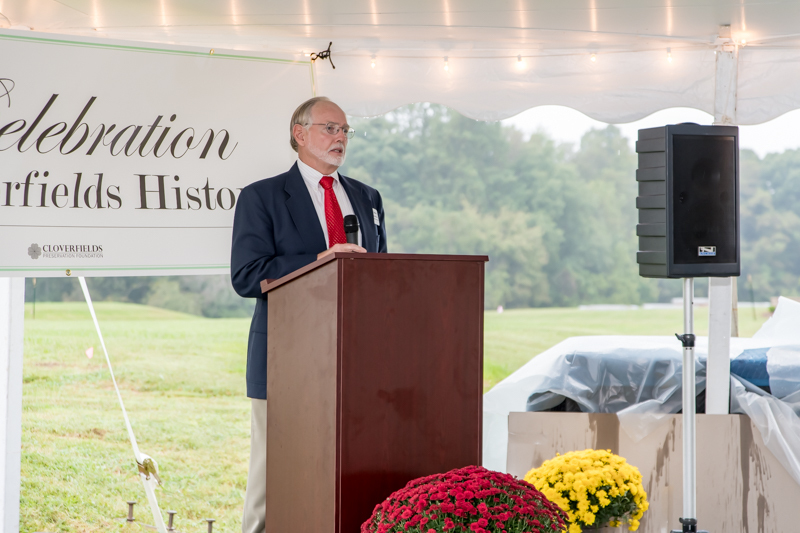 The first event took place on Friday, October 5. 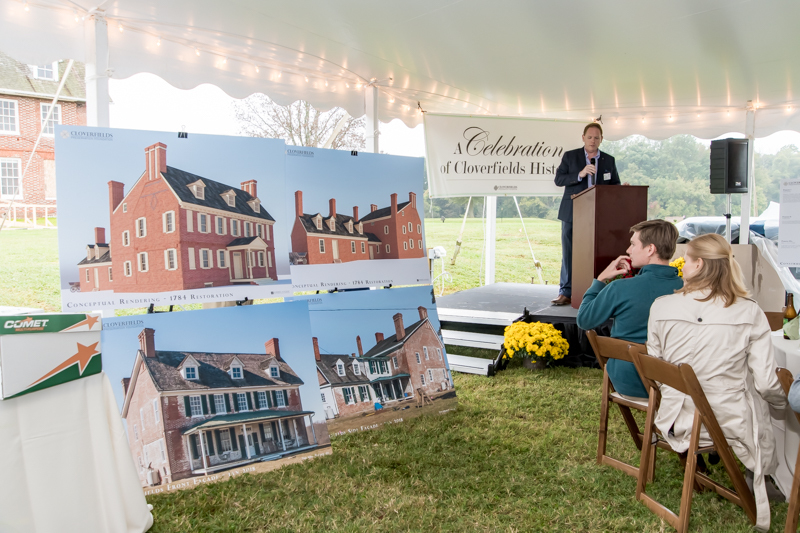 Previous residents of the house, their descendants, their families, the restoration team, and anybody who has worked on this magnificent project over the past year, visited Cloverfields and had the opportunity to see our work in progress, and to celebrate our achievements. 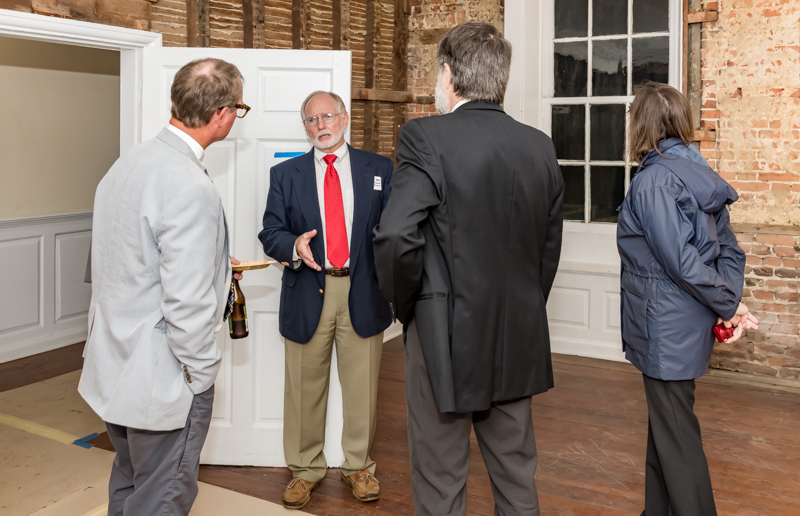 After some brief presentations, the house was opened up for guided tours from Mr. Tyler (archaeology), Mr. Graham (history), and myself (architecture). 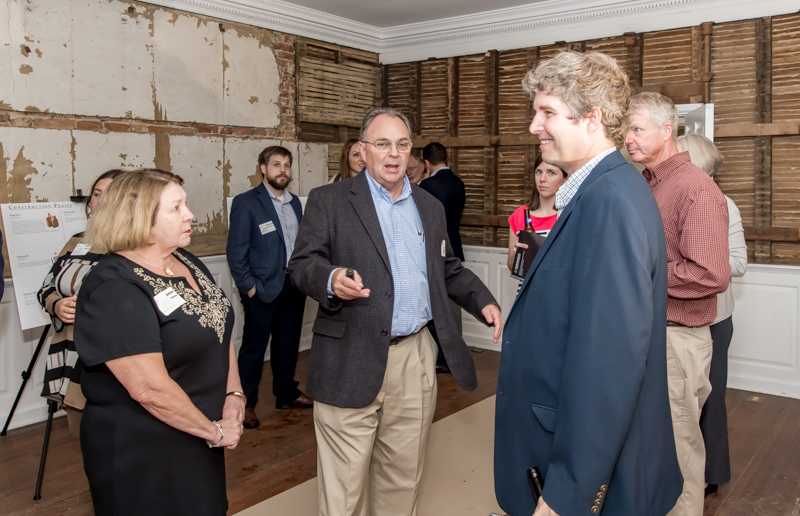 Mr. Tyler and other representatives from Applied Archaeology & History Associates, Inc., were on hand to talk to guests about their thousands of archaeological finds. The photos below capture some moments from the celebration. The other event took place on Tuesday, October 9. 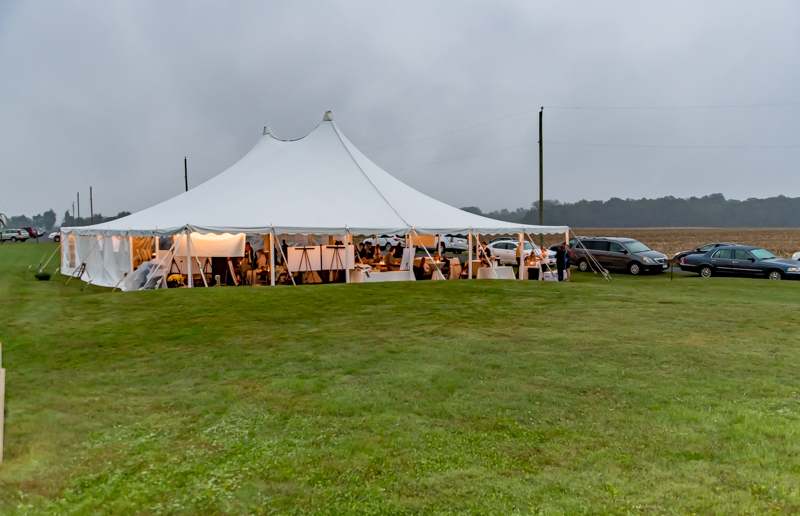 It was organized under the umbrella of the Chesapeake Bay Chapter of the American Institute of Architects (AIA). It consisted of a presentation followed by a house tour. 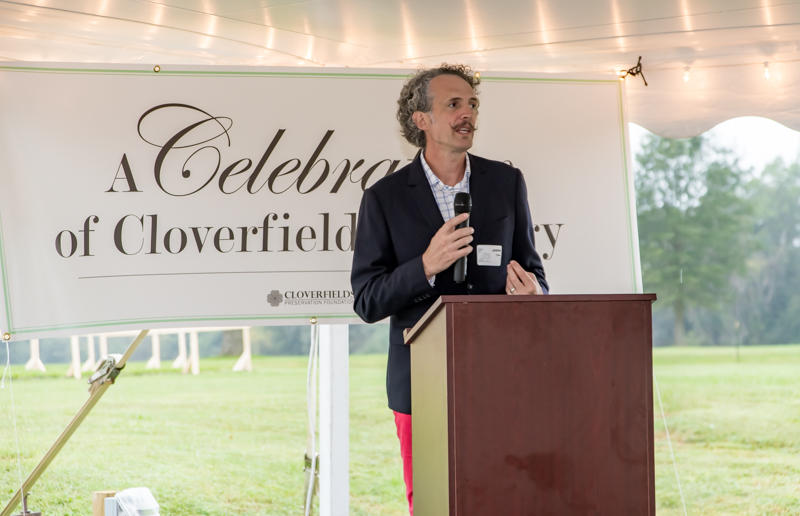 During the presentation section of the evening, Graham and I explained why we chose to restore Cloverfields to the year 1784. I concentrated on the history of the house in general, while Graham focused on the substantial difference between colonial-era and modern masonry techniques. Ray Gauthier of Lynbrook of Annapolis expounded upon their role as project managers, and their focus on teamwork. This second event had a more academic tone than the October 5th party, but both felt celebratory. At both events we celebrated Cloverfields and the team’s hard work; we just did it in different ways. We will continue to host events in the future and, in general, we will continue to strengthen our relationship with the community of which we are part. Preservation of historic house by Lynbrook of Annapolis (builder) and Kimmel Studio - Buildings & Gardens (architect). 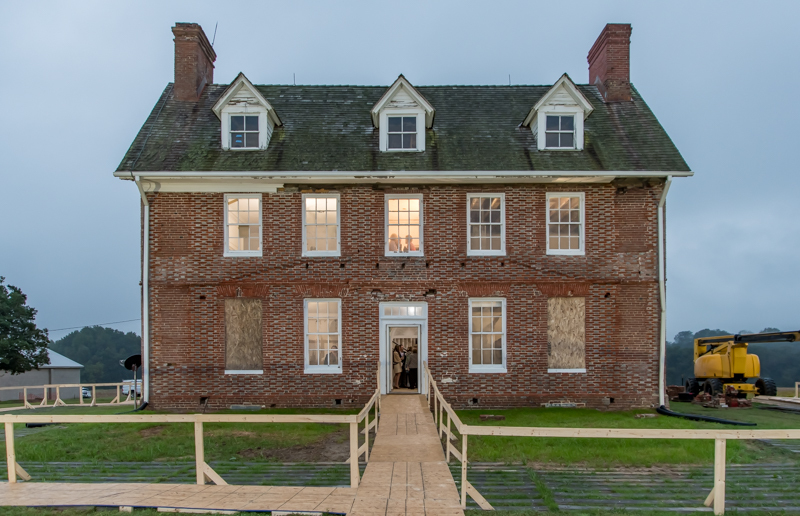 Restoration of MD colonial era home.